San Francisco’s de Young museum presented a paradigm-busting show titled ‘Contemporary Muslim Fashions’ that opened September 22, 2018 and closed Januaryn 6, 2019. The exhibit challenged museum-goers to “explore the rich diversity of one of the fastest-growing fashion sectors today” — modest fashion. In an examination of Muslim dress codes worldwide, trom those who cover their heads to those who do not, the exhibit sought to draw attention to contemporary Muslim life. The exhibition was initially organized by Max Hollein, now director of the Metropolitan Museum of Art in New Yori. It traversed a multitude of religious interpretations, high-end luxury fashions and streetwear alike. Writing for The Hollywood Reporter, Celine Semaan summarized AOC’s long-held position on this subject, words that were then featured on the exhibit’s website. AOC’s prior coverage of the San Francisco ‘Contemporary Muslim Fashions’ exhibit. The exhibit has now moved to the Museum Angewandte Kunst in Frankfurt. artNet writes that there were protests weeks before the exhibition even opened. An unlikely alliance of second-wave feminists, the far right, and self-proclaimed secular immigrants gathered to protest the headscarf — or hijab — on view in several exhibits as “an instrument of oppression against women’. Condemning the show as “propaganda” for Islamism and a “blast” against feminists, a small group protested “what they deemed a glorification of an oppressive tool and interrupted the opening ceremonies with an attempted slutwalk” at last week’s opening ceremony. "This exhibition, which supposedly depicts religious dress requirements as fashion, is a slap in the face of domestic and foreign women's rights activists," says a group letter published by feminist magazine ‘Emma’. The group, composed of Iranian refugees, also reminds people that "Every year, thousands of women in Iran are punished for violating this dress code." In a brief but articulate interview about the Frankfurt show, museum diredctor Matthias Wagner K explains how political fashion can be. I share the opinion of the exhibitionʹs initiator Max Hollein, who holds fashion to be the exalted expression of a cultural state. The show does not ignore the issue of women's rights. On the contrary, there are many photographs and contributions by women artists such as Shirin Neshat that explicitly address the oppression of women who, if they resist these dress codes, have to fear for their lives or for their well-being. Max Hollein , the show’s creator had extensive museum director’s experience in Germany before moving to the de Young position in San Francisco and now the Met. His goal was to upset the idea that “Muslim clothing was forced onto oppressed Muslim women. His goal was to highlight the diversity of these modest fashions, and if nothing else, the show at least kicked off another widespread debate. But it’s also done more than that, by offering an disruption of prejudices about Muslim lifestyles—and that accomplishment is desperately needed in times of rising Islamophobia”, writes artNet. Washington DC hotelier Katherine Lo found her purpose, getting lost on a hike in the Himalayas. The 21-year-old Yale anthropology student spent nine hours searching for a path back to the Ladakh Oriental Guest House. Facing failure, her Canadian and Australian companions joined Lo in throwing together a makeshift camp inside a cave, deciding it was a great — and perhaps goddess sent — opportunity to talk about their goals for the rest of their lives. Conde Nast Traveler shares Lo’s story. "I told them I wanted to be an activist, and work on campaigns that have social impact regarding the environment, and racial and gender equality," Lo says, reflecting on that unforgettable night, "though a part of all of us thought we'd die up there." They didn’t die and Katherine Lo, the daughter of Langham hotel founder Lo Kah-shui, has opened her Washington DC Hotel Eaton Workshop. AOC profiled Lo in July 2018, sharing both her philosophy and plans for three more Eaton Hotels in Hong Kong, San Francisco and Seattle. 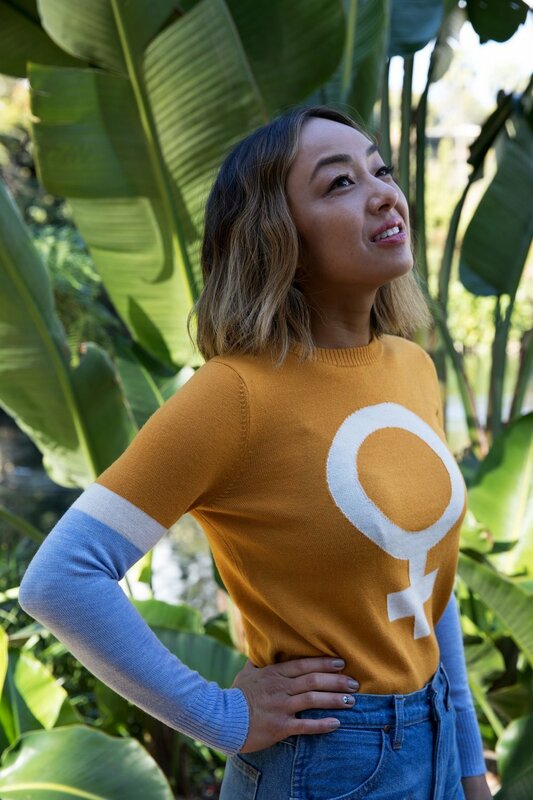 Lo has prioritized a series of talks and events that focus on the issues such as equal rights and gender equality as part of the brand's weekly operations. "I want to create a space where artists, journalists, politicians, and people of all ages and classes can come together, learn and grow," she says. Today’s entrepreneurs often throw around words like purpose and human values, but Katherine Lo is raising the bar. 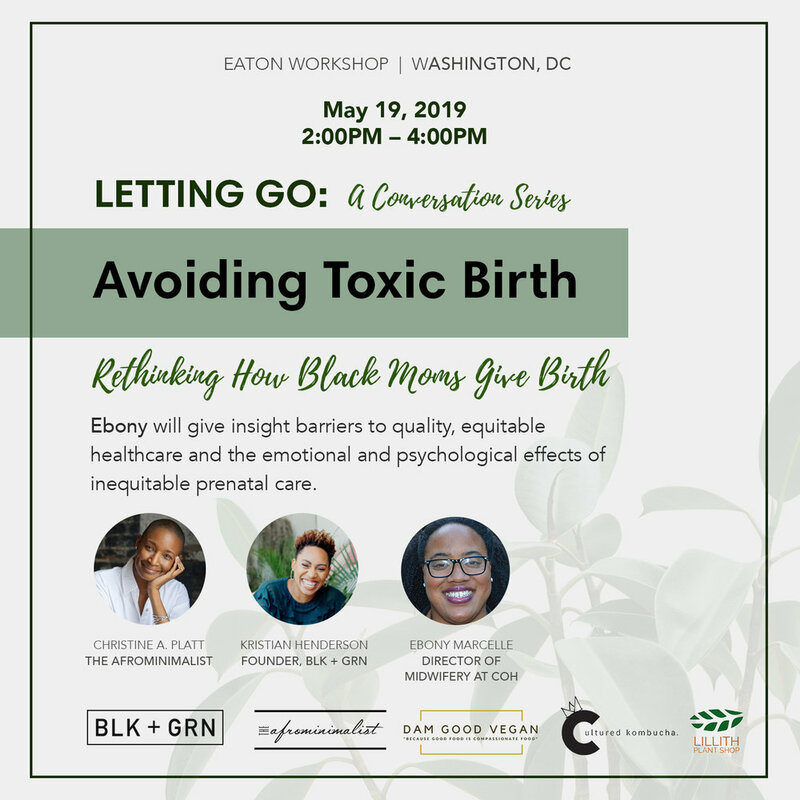 For example, on May 19, 2019 from 2-4pm, the Eaton Workshop DC is hosting ‘Avoiding Toxic Birth: Rethinking How Black Moms Give Birth’. The statistics are staggering--Black women are three to four times more likely to die from childbirth than non-Hispanic white women, and socioeconomic status, education, and other factors do not protect against this disparity. Tickets are $50.